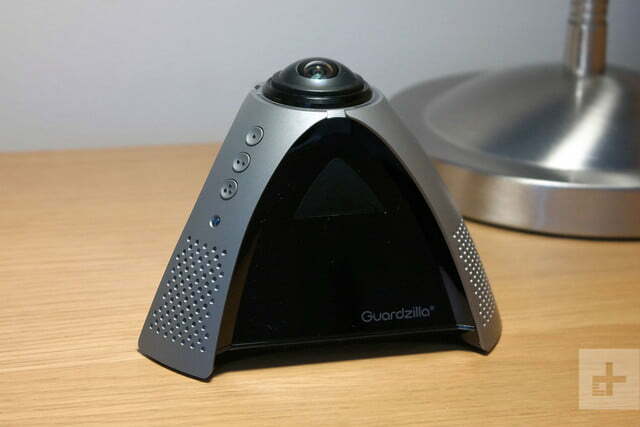 Guardzilla’s 360-degree camera breaks new ground, but we were let down by low video quality and missing features. Smart home security cameras can be neatly grouped in two camps. 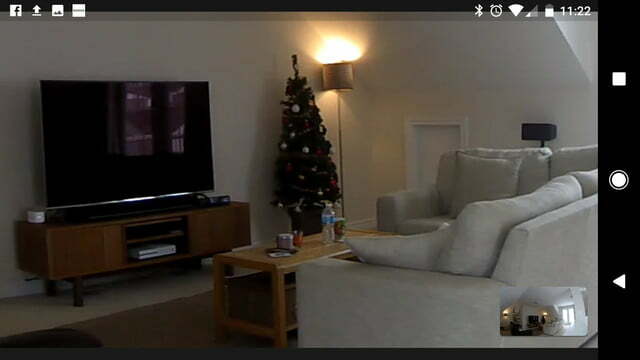 Traditional systems involve distributing one or more cameras around the home, with captured video sent to the cloud or captured locally for offline playback. Integrated systems, such as those from Canary, Piper and today’s review subject, Guardzilla 360, combine a fixed camera with a siren, motion detection features and more in an attempt to deliver a comprehensive, one-box security solution for home protection. 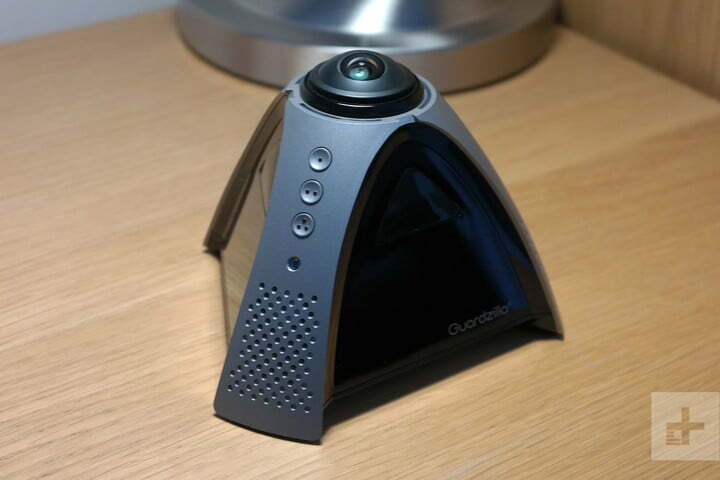 As the name suggests, Guardzilla’s high-definition, 360-degree monitoring seeks to overcome the limitations of a traditional fixed view camera, with the ability to see all around the room. Add a 100-dB siren, PIR motion detection, night vision, and two-way communication, and Guardzilla 360 looks to be quite the security monster. But is it the best solution for you home? 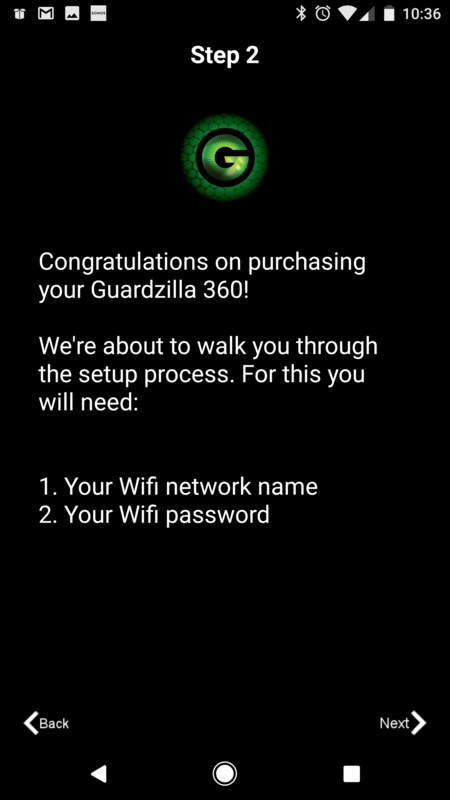 Let’s get hands-on in our Guardzilla 360 review. 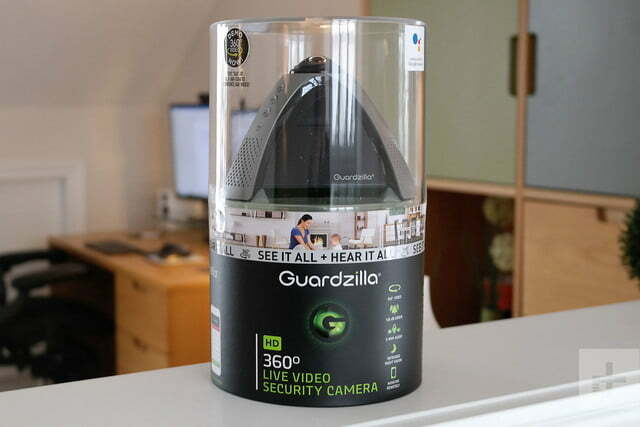 Named a CES 2018 Innovation Awardee, the $230 Guardzilla 360 arrives in a clear, cylindrical package that shows off the device from all angles. 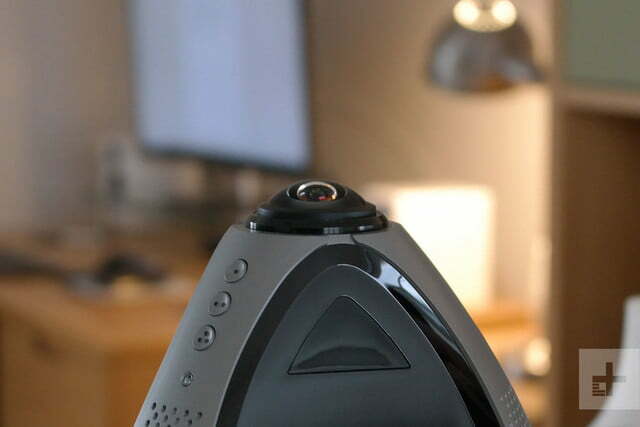 The silver and black dome-shaped camera is compact and reasonably well-constructed, resembling audio-conferencing hardware you may have seen at the office. The bulbous lens on Guardzilla 360’s summit, however, makes it a very different device. 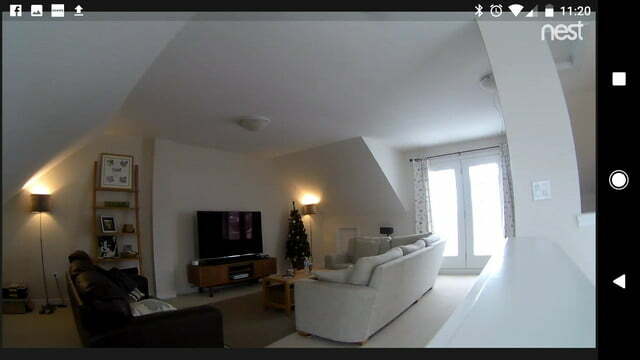 The camera is certainly sturdy and refuses to twist or bend under pressure, so it’ll take a few knocks from the kids. There are a couple of minor points to be aware of when it comes to the design, however. The 360’s glossy, piano-black sides are ripe for fingerprints and smears, while the edges of the three smart silver pillars are a little sharper than we’d like. 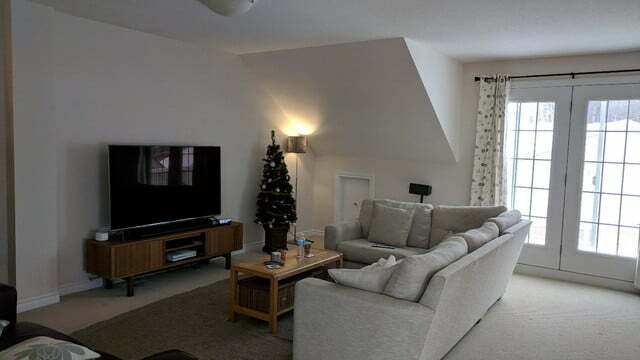 But overall, Guardzilla has done a great job with the 360’s design, ensuring it’ll look fabulous in the home. Designed primarily to sit on a table-top, the 360 also includes a tripod-mount on its underside, which means you have more flexibility in positioning that camera than you first realize. Obviously, you’ll need to ensure you have a nearby power outlet, but the use of a standard 5V micro-USB power supply means that sourcing cables longer than the supplied six-feet length shouldn’t be an issue for the more adventurous. The Guardzilla app intelligently pans its view based on the position of your phone. It’s very cool. 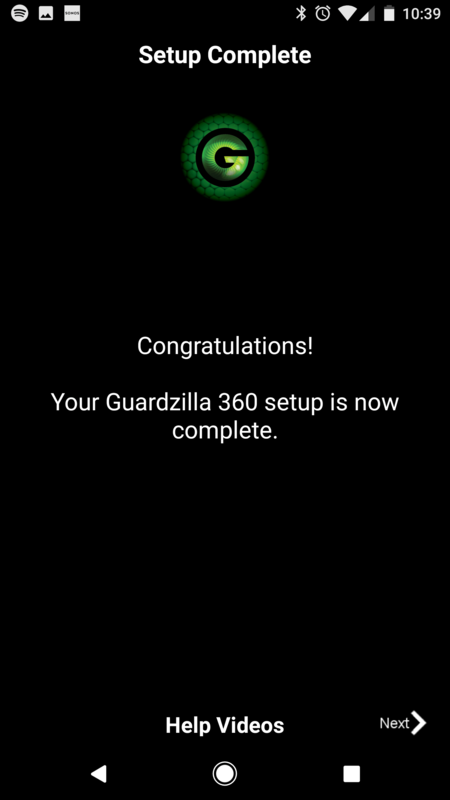 We tested Guardzilla 360 with the company’s Android app. An iOS version is also available and has recently been updated, promising improved stability. However, both editions look a little dated. Plug in the device and you’ll be informed via the device’s speaker when it’s ready for setup. You should note that the camera is only equipped with 2.4 GHz Wi-Fi, which offers longer range but slower speeds than the newer, 5 GHz standard and is also more susceptible to interference. That all said, we had no problems getting the device hooked up to our Wi-Fi network, and audible confirmation of the wireless connection from the device made life easier. You’ll be up and running in less than five minutes. We headed straight to the camera’s live view to check out video performance. The Guardzilla app intelligently pans its view based on the position of your phone. 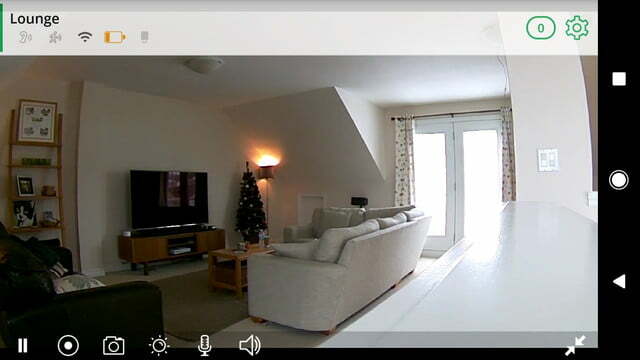 As you move your phone around in a 360-degree circle, the view of your room changes accordingly. There’s also some vertical movement available too. It’s very cool. Thankfully, if you don’t fancy spinning around the office while checking your home security, a simple swipe also allows you to change your viewpoint. Less cool is the blotchy video output from Guardzilla 360. Even at the default “Max” setting, we found video to be disappointingly dark and smeared. 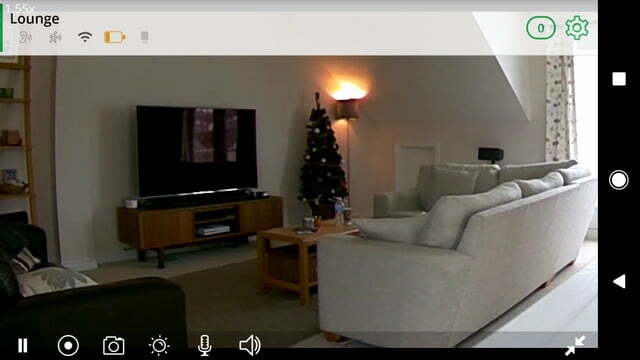 The pinch to zoom feature, which is a great addition in principle, led to a blocky, poor-quality image, well behind the likes of fixed, 1080p resolution cameras like the Netgear Arlo and Nest Cam. You can argue that the images are usable for detecting the presence of unwanted guests, but facial recognition may be a challenge. 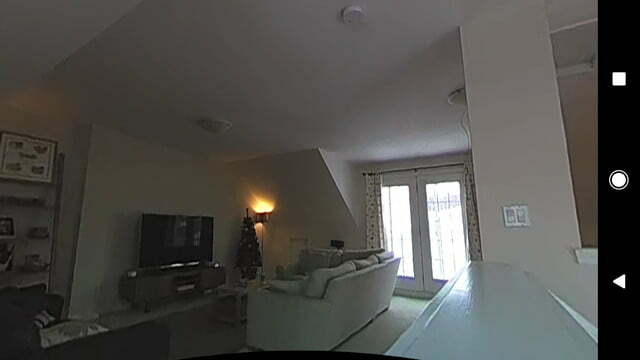 In the images in this post, you can compare Guardzilla 360’s output with images taken from the same point on a Nest Cam, NETGEAR Arlo Pro and, for reference, a Google Pixel XL smartphone. The difference is stark. 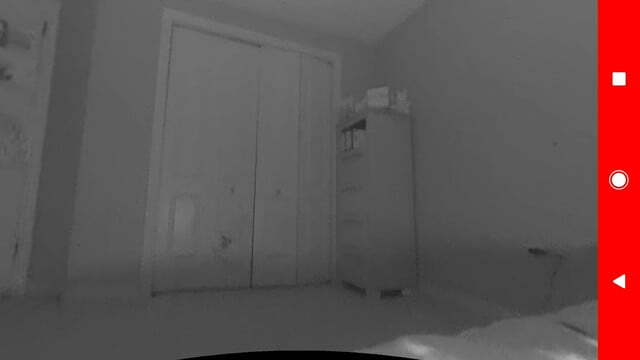 Switching to the Night Vision setting, we saw that Guardzilla 360 did a decent job of illuminating dark spaces – certainly sufficient for intruder detection, but again, images were blurred and smeared. As with most, but not all, smart home security systems, Guardzilla 360 offers subscription plans that enables video recording of triggered events. The cheapest plan, at $5 per month or $50 a year, supports 30-second clips of recordings stored for seven days, while the monthly $9 per month/$90 annual premium plan extends storage for 30 days. We found the 360’s motion detection to be accurate and quick, getting notified on our phone within a second or two of motion. This is far cheaper than competitors such as Nest Cam, but it’s worth noting that both Netgear Arlo and Canary offer free (albeit limited) cloud recording plans. Guardzilla also offers a $10 per month Professional Security Monitoring plan, using a “nationwide network of professional operators,” available for purchase through the Guardzilla app. We found Guardzilla 360’s motion detection to be accurate and quick, with a choice of email, text, or push notifications appearing on our phone within a second or two of motion. The device’s siren, disarmed by default, can be enabled to sound when motion is detected. It’s rated at 100 dB, but we were a little underwhelmed when we tested it. It’s sufficiently piercing to wake up householders at night, but we’re doubtful it could be heard outside the home. Two-way communication is enabled by an integrated microphone and speaker. Sound quality from the speaker is intercom-grade, meaning it’s a little coarse, but perfectly functional for quick conversations. Audio captured from the integrated microphone is clear enough, but again, isn’t designed for long chats. 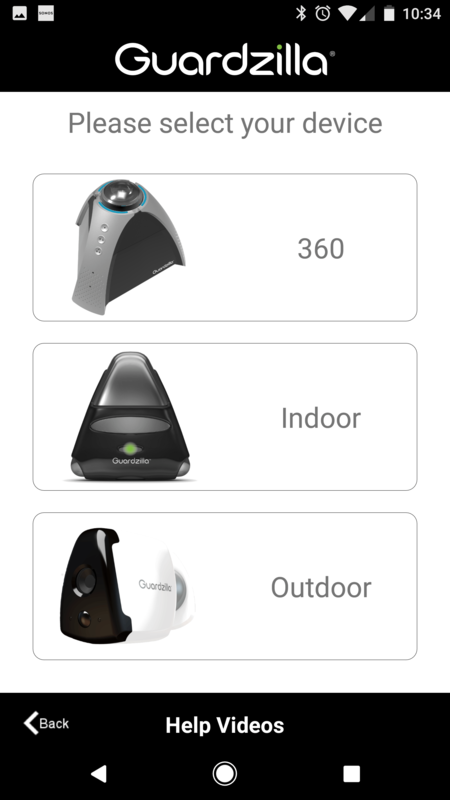 Guardzilla 360 boasts integrations with a growing roster of third-party smart home devices, including If This, Then That (IFTTT), Amazon Alexa, Google Assistant and Nest, although we struggled to find real-world evidence of available IFTTT recipes, a listing in the Google Home app or the advertised Alexa skill. We’ve reached out to Guardzilla to understand the status of their integrations and have not yet heard back on this. We will update the review once we find out more. However, connecting the system to the Nest Learning Thermostat allows you to set your Home and Away status when the camera is armed or disarmed. 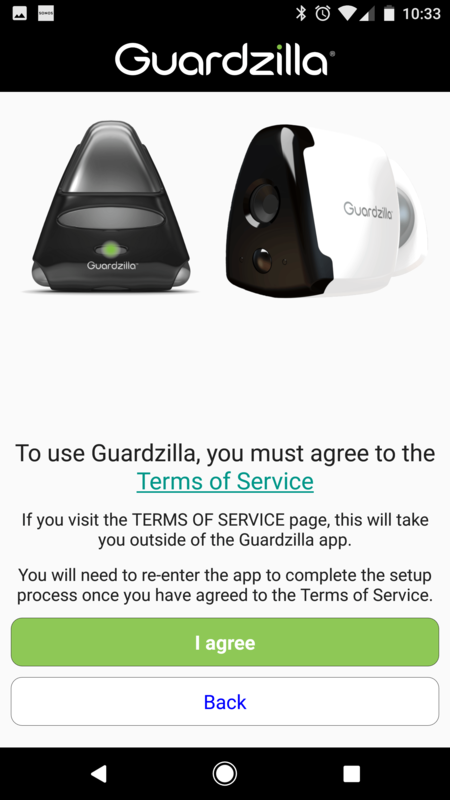 For now, consider smart home integration a work in progress, as more work will be required here for Guardzilla to deliver on a bold promise. 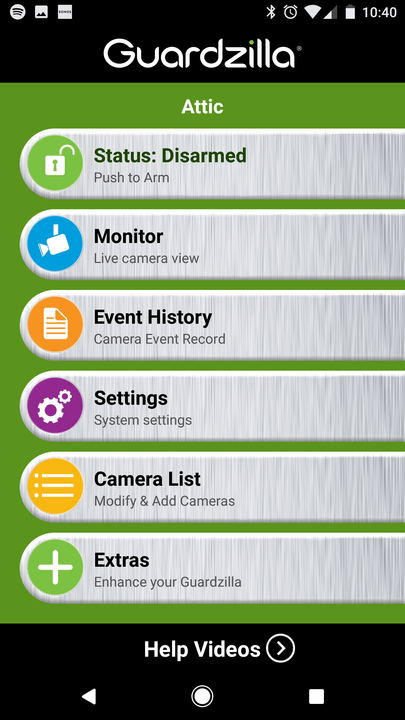 Elsewhere in the app, Guardzilla provides a reasonably extensive settings suite that allows you to tweak camera settings until your heart’s content. Unfortunately, while the line-up looks impressive, some of the features simply don’t work, such as the Wireless Signal test and Network Settings panel, both of which were sadly broken in the Android app. Unfortunately, some of the app’s settings simply don’t work. While Guardzilla’s innovative 360-degree video monitoring breaks new ground, the device and its controller app do not deliver the quality needed to take on the best-performing systems in a packed smart home security market. 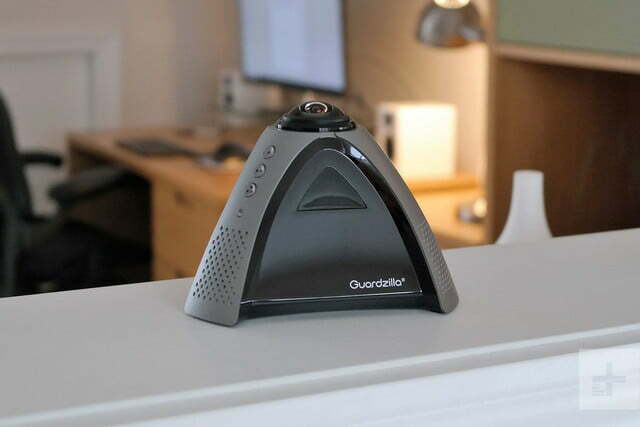 While the Guardzilla 360 hardware looks good, video quality is disappointing and there are competing devices that offer limited cloud recording without requiring a subscription. Meanwhile, a dated-looking app, broken settings pages and missing third-party integrations show that Guardzilla 360 remains a work in progress. A great concept for sure, but sadly, Guardzilla 360 isn’t the security monster we were hoping for. Guardzilla 360 ships with a one-year limited warranty that covers parts and labor. Guardzilla’s 360-degree video monitoring deserves plaudits for innovation, but doesn’t deliver the quality required to compete in a busy marketplace. Dark, low-quality video, missing features and broken settings mean that we wouldn’t recommend you invite this security monster into your home. 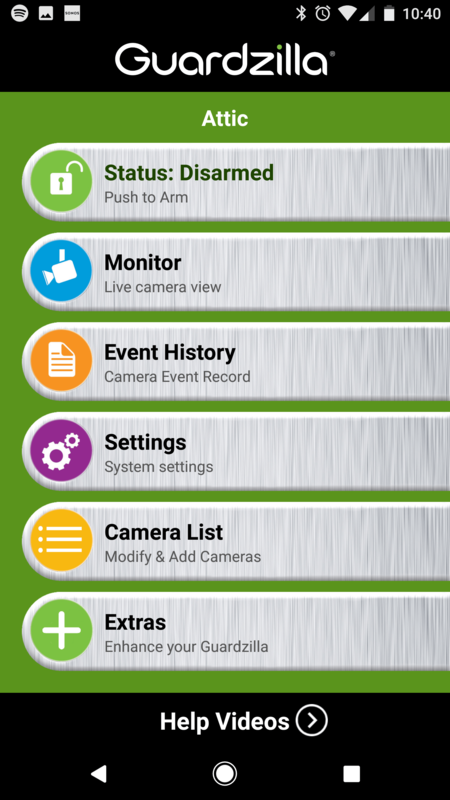 There are few, if any cameras that offer the same 360-degree monitoring features as Guardzilla 360, but if you’re seeking mobility with your monitoring, you could invest in professional network cameras with pant/tilt/zoom capabilities. At this price, however, we’d recommend sticking with high-quality smart home security systems like the $250 Netgear Arlo Pro, which offers higher-quality video and a slicker user experience. It’s been superseded by the Arlo Pro 2, but if you’re quick, you’ll find the first-generation system still available. If you’re happy to spend more, check out the $500 Nest Secure kit, which adds an outdoor camera plus door and window sensors. The smart home security market is extremely competitive at the moment. While smaller companies like Guardzilla are offering a selection of budget devices or, in the case of Guardzilla 360, innovative new models, major corporations like Google (via Nest), Netgear and Amazon are becoming dominant. That puts smaller players like Guardzilla at risk. That said, we’re not aware of issues that would suggest Guardzilla won’t be around for some time and the company is slowly building out a wider range of home monitoring solutions. But if longevity is front of mind, it’s always safer to stick with a larger, more established brand. While we admire Guardzilla’s innovative approach to smart home monitoring, the quality bar has never been higher in this category. With better imaging, a more robust app and stronger selection of third-party integrations, the device could be a contender, but with this first-generation device, Guardzilla 360 ultimately falls short.